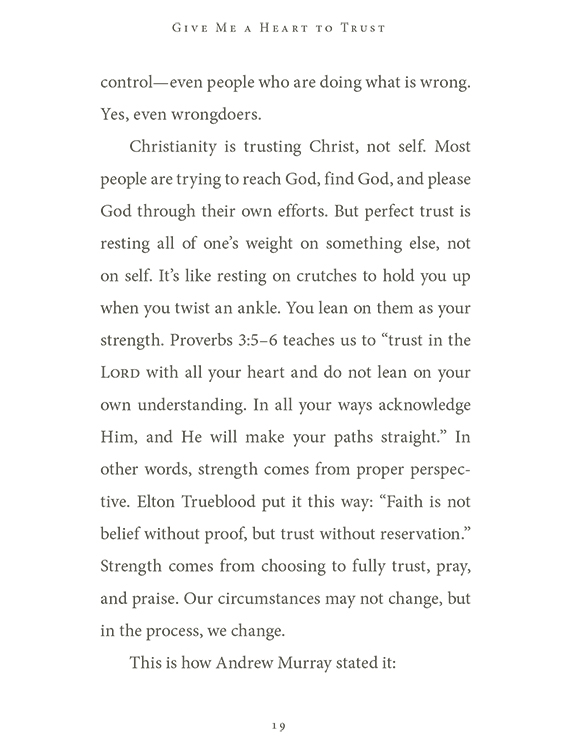 “Pull yourself up by your bootstraps!” “Take control of your life!” Our culture and our own nature tell us to grab life by the throat and rely only on ourselves. 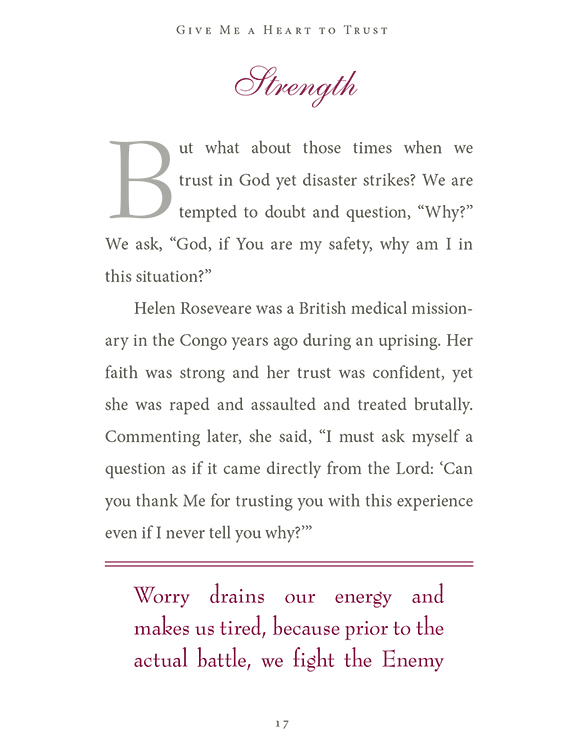 But when adversity, disappointment, and despair knock us down, we have to admit that we are not in control. 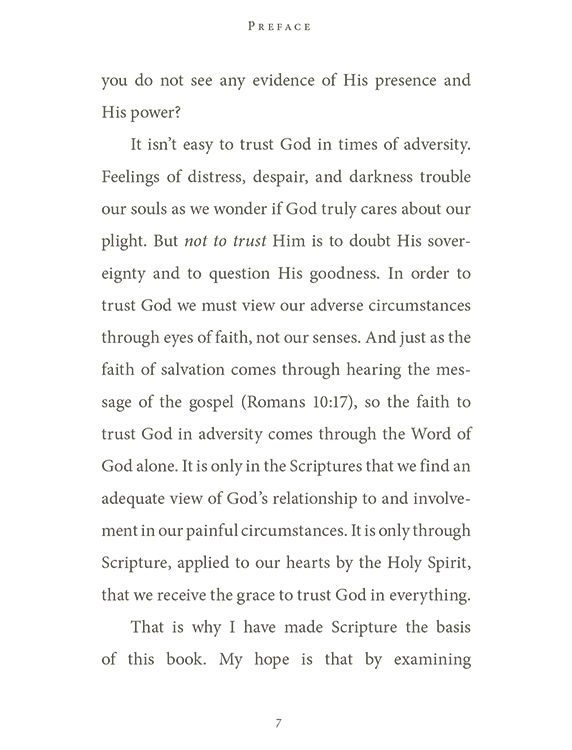 When our world falls apart, can we really trust God? 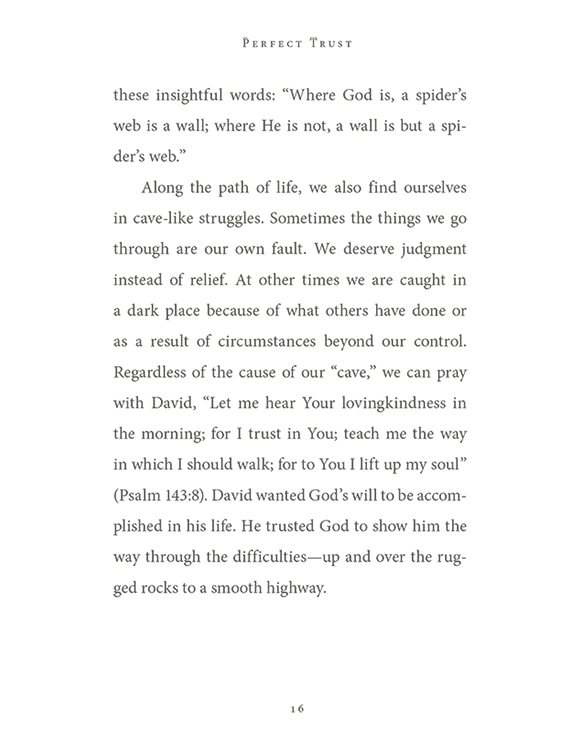 What’s the alternative? 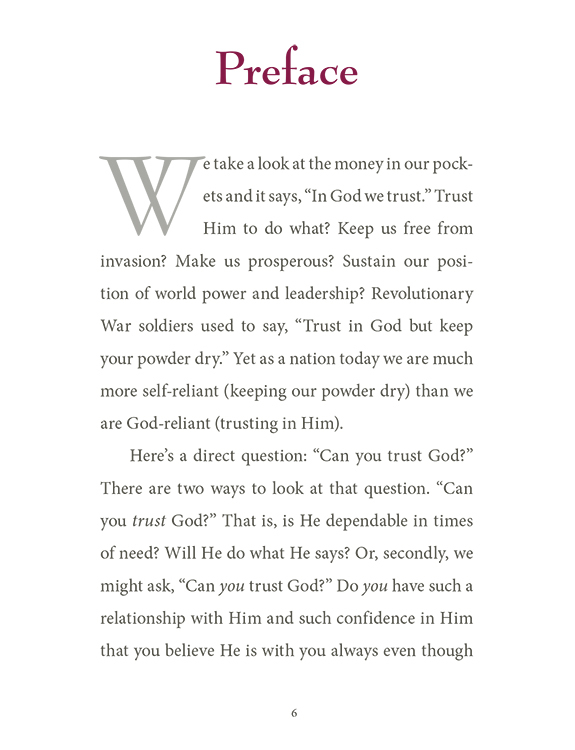 To not trust God is to doubt both His sovereignty and His goodness. 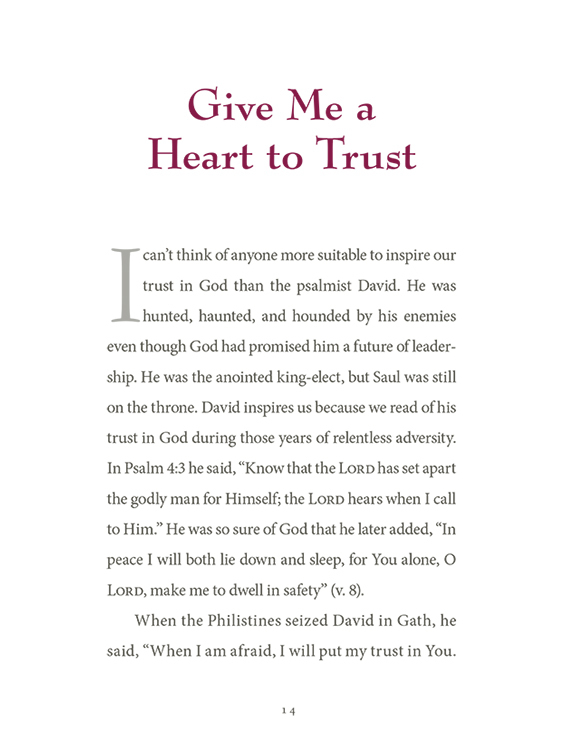 Thankfully, God gives us good reasons to trust Him. 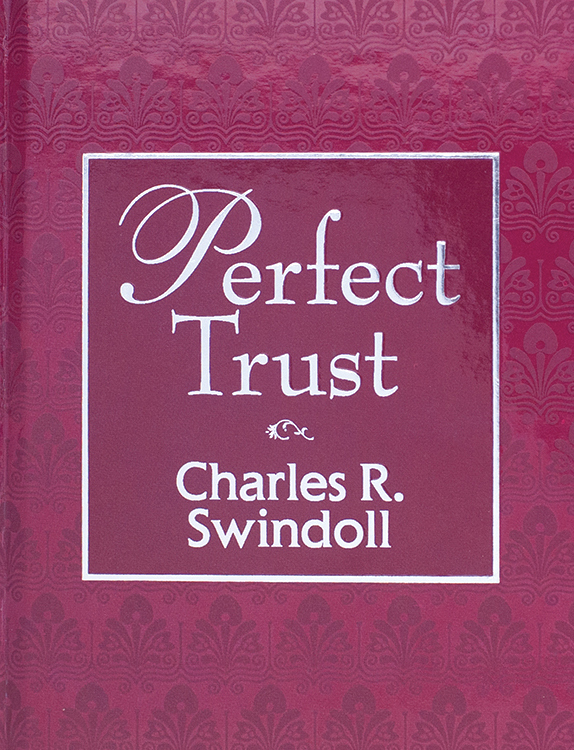 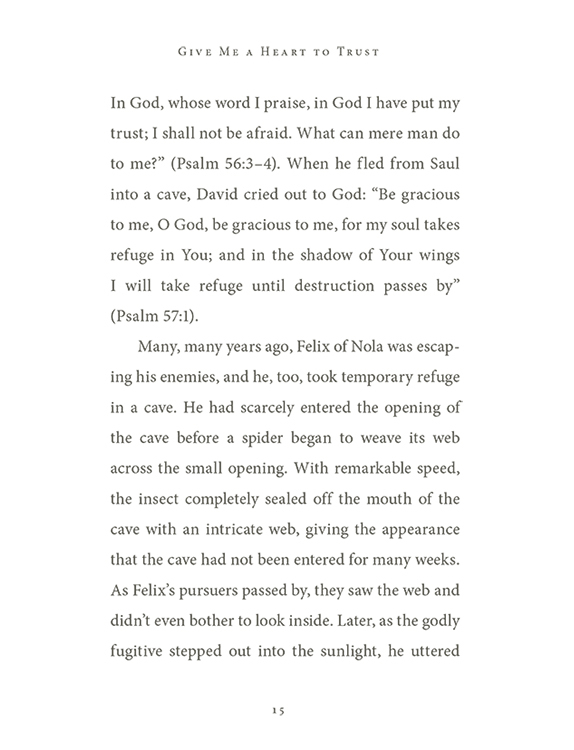 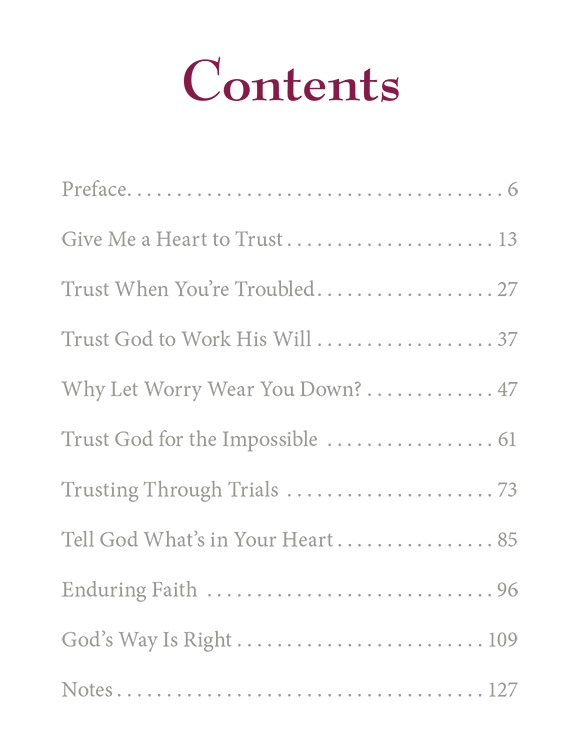 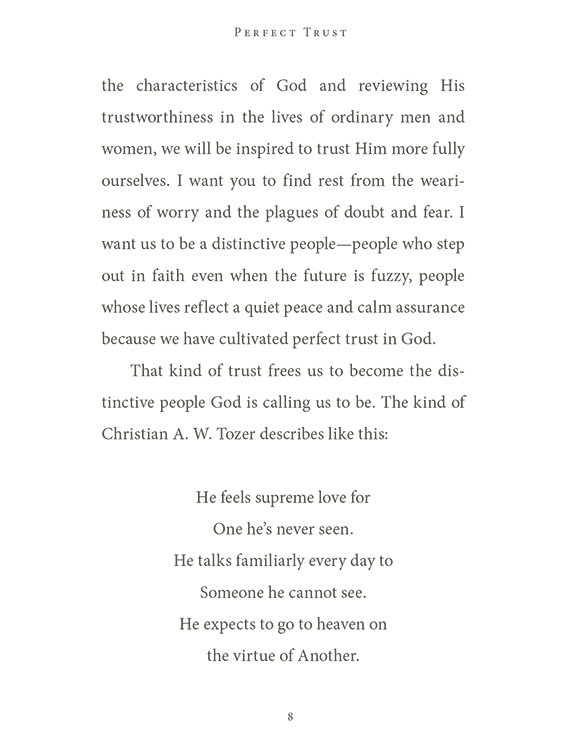 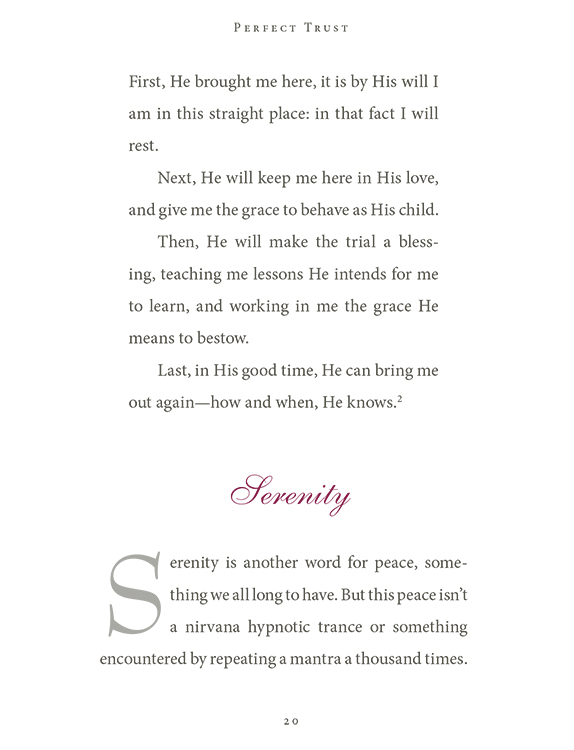 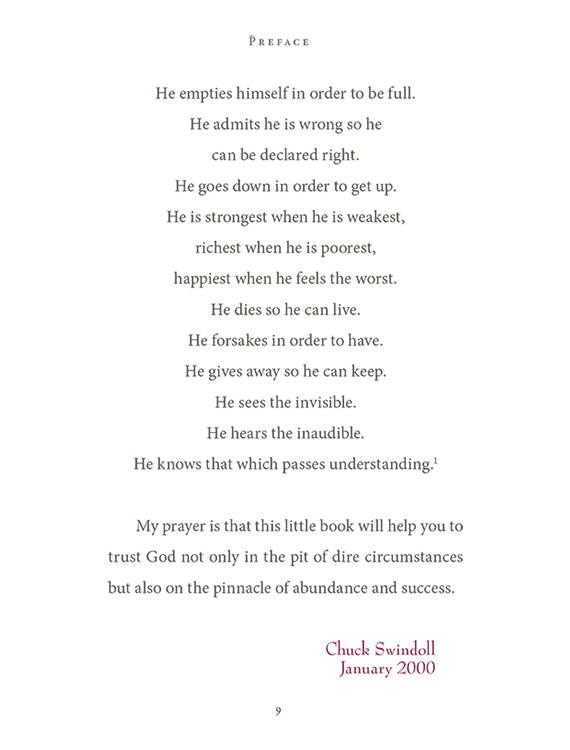 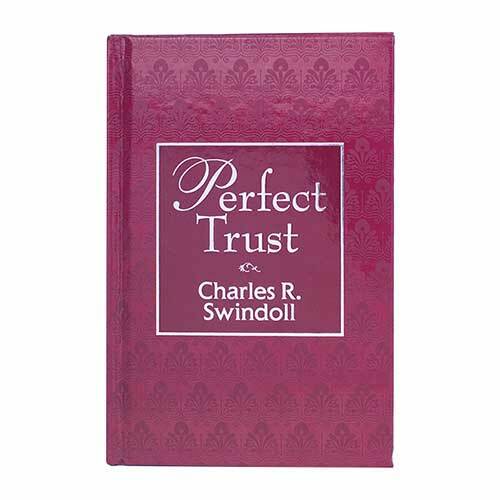 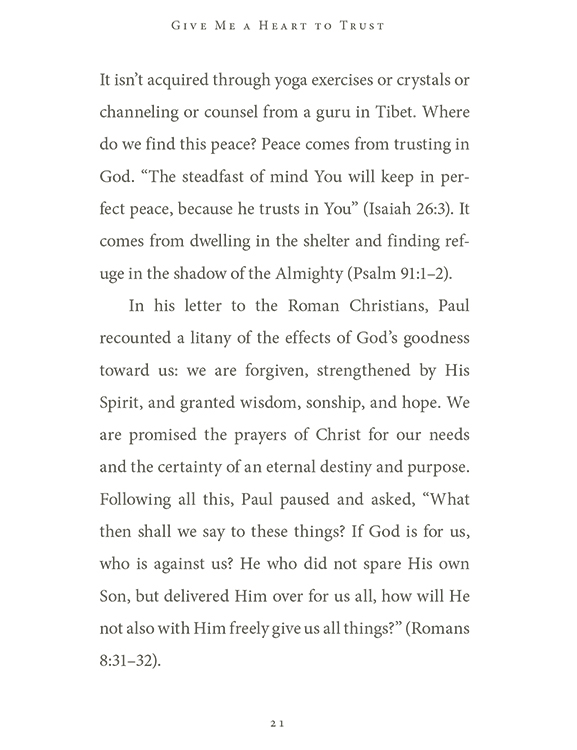 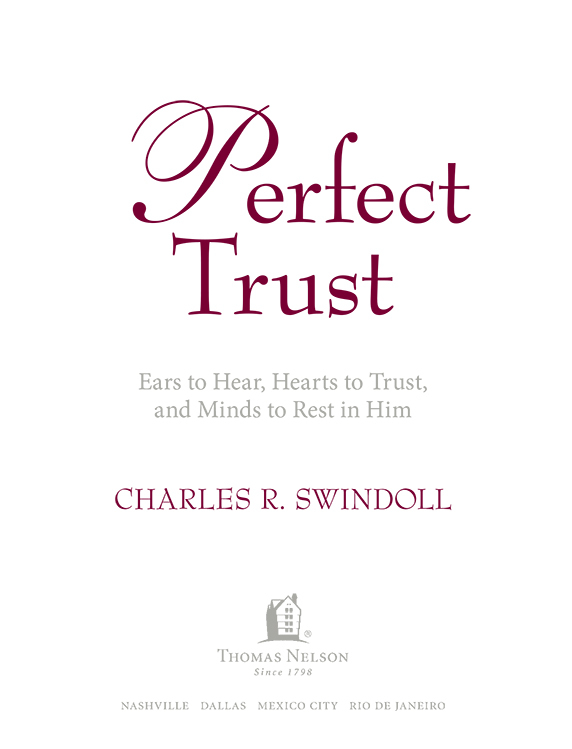 Pick up Perfect Trust today, and be reminded that when our world falls apart, we really can trust God.